Chesterfield moved up a place to 17th, five points clear of the drop zone, with a fine 3-2 win at Rochdale. Jay O’Shea opened the scoring before Rochdale levelled on 30 minutes later when Andrew Cannon’s cross was headed home by Ian Henderson. Lee Novak scored before Sylvan Ebanks Blake’s made it 3-1. 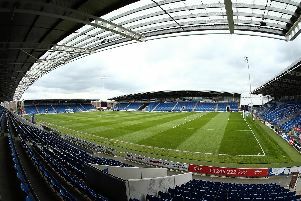 Chesterfield were down to 10 men in the 86th minute when Gboly Ariyibi was sent off for a second yellow card. And alarm bells rang in the 90th minute when Rochdale reduced the arrearsw to 3-2, Rhys Bennett heading home from Nathaniel Mendez-Laing’s cross. But Chesterfield held on to make it 10 goals and six points from the last two matches.